Often times the gutters around the city retain small puddles. Using these small but uniquely shaped puddles allows me to capture the skyscrapers around the city skyline. 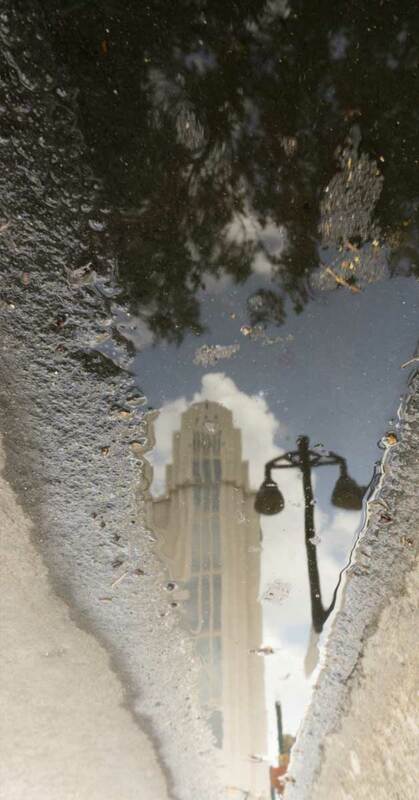 This puddle reflected the Orange County courthouse in Downtown Orlando.